What begins as the story of a lost boy turns into a story of a brave man yearning to understand what happened that night, in the years since, and to his very person. 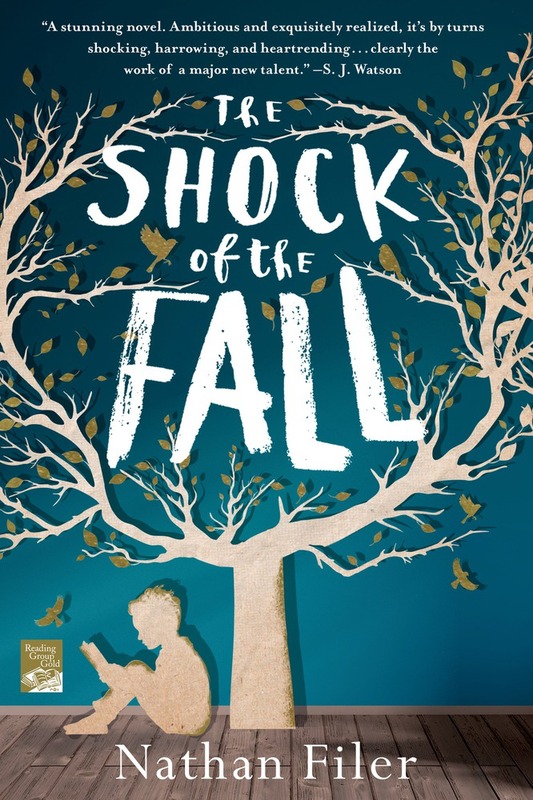 Unafraid to look at the shadows of our hearts, Nathan Filer's rare and brilliant debut The Shock of the Fall shows us the strength that is rooted in resilience and love. Nathan Filer is a writer and lecturer in Creative Writing at Bath Spa University. A registered mental health nurse, he has worked as a researcher in the academic unit of psychiatry at the University of Bristol and on in-patient wards. He is also a performance poet whose work has been broadcast on television and radio. The Shock of the Fall is Nathan's first novel and the recipient of the 2013 Costa Book Award and the 2014 Betty Trask Prize.